Nine West Holdings’ corporate office occupies the 22nd floor of a high rise in Midtown Manhattan. 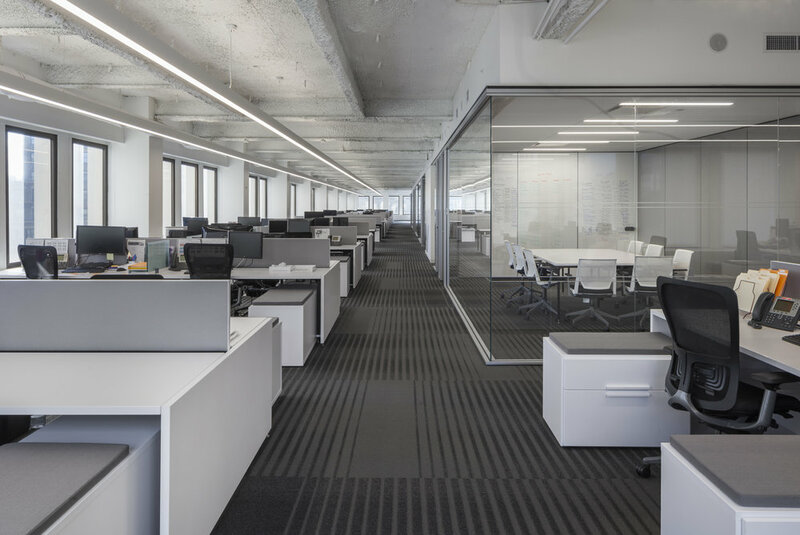 A key component in organizing the vast 20,500sf space was to create an open office environment at the perimeter of the floor while concentrating the service spaces and glass-encased conference rooms at the core of the building. 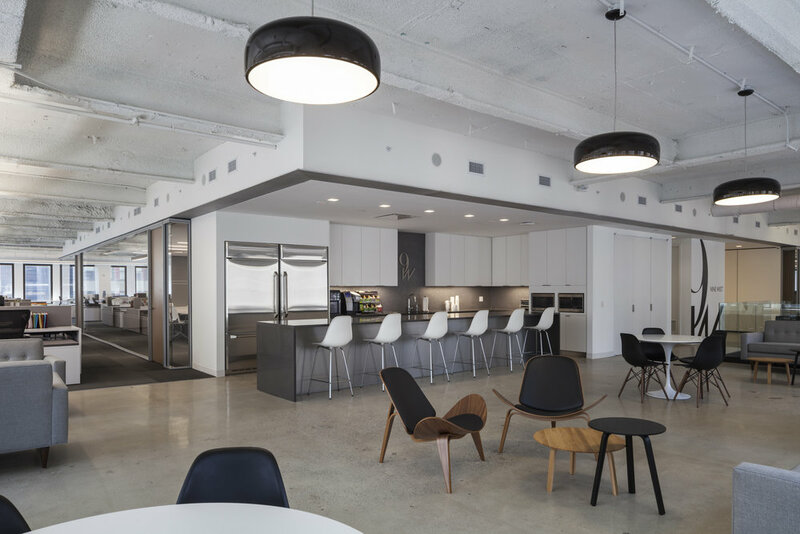 The layout optimizes natural light distribution, encourages a collaborative work environment, and simplifies the circulation of people and merchandise across the floor. A soffit at the core conceals all necessary mechanical equipment, giving way to heightened exposed ceilings above the majority of the space, simultaneously creating intimate rooms anchored at the center. The dropped ceiling frames the new standout kitchen, seamlessly carved into the surrounding hub, which extends out to various meeting areas. A modular wall system around the center acts as flexible space dividers, providing transparency at some spaces and pin-up surfaces elsewhere. The Nine West office is LEED-certified. This was important to both the client and Matthew Baird Architects to ensure a reduced environmental footprint and to minimize utility costs for the client.